OGIO offers a stylish and versatile backpack with their Alpha Convoy 525 backpack. 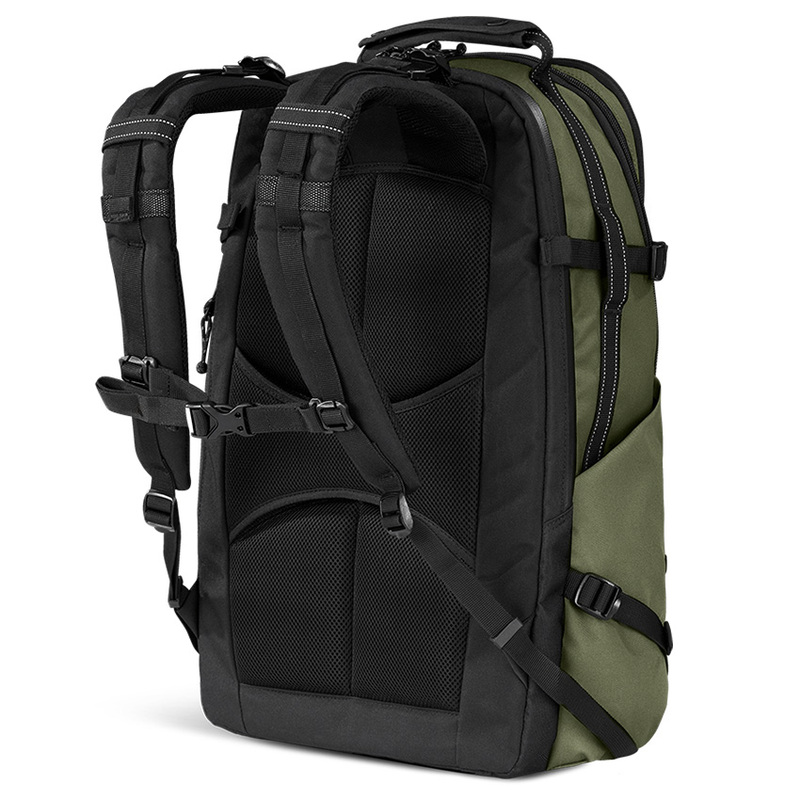 Its design is inspired by rugged tactical backpacks and includes elements such as MOLLE webbing for pouch attachments, a tough Cordura construction and “tactical” color options. Although its design is heavily inspired by tactical bags, the Alpha Convoy 525 backpack is an urban daily backpack at heart with a dedicated padded laptop compartment, padded shoulder straps and handles and an anti-theft back pocket. Those who want an even more compact version of the Alpha Convoy should check out the OGIO Alpha Convoy 320 backpack. Even though the 525 is the largest Alpha Convoy backpack, at only 25 liters it still feels too small.